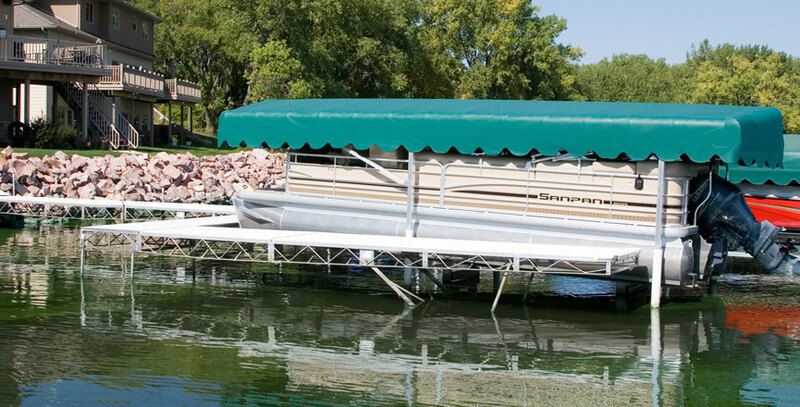 Hewitt’s narrow pontoon lifts easily raise and lower even the longest pontoon boats. 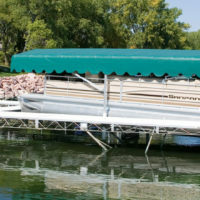 Full-length beams are positioned between the pontoons, not beneath them, which evenly distributes weight to the boat’s deck and eliminates any risk of damage to the pontoons. Available in three standard sizes – 2000 lb with 20’ length, 2400 lb with 24’ length and 3000 lb with 28’ length. Built to the same high standards of durability that are a trademark of all Hewitt lifts.